Tim Holtz Idea-ology TYPE CHARMS Keys Alphabet Typewriter Letter TH92819 at Simon Says STAMP! TH92819 /3.2 This item is on reserve until If you would like to reserve this item now, you may purchase it now with the rest of your order. We will hold your order now and ship your entire order as soon as this item is back into stock. If you would like your order to ship now, please place this item on a separate order. 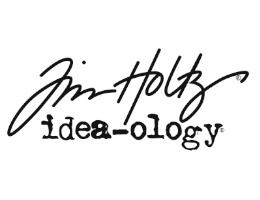 Success, Tim Holtz Idea-ology TYPE CHARMS Keys Alphabet Typewriter Letter TH92819 has been shared! Customizable! Can't you hear it now....the clicking away of an old typewriter - remember when? Inspiration is everywhere especially in elements of the past. The industrial look of metal keys with glass overlays from vintage typewriters capture the memories of hand-typed love letters and timeless correspondence. Type Charms are replicas of these sought after findings without the need to cut them off of that old typewriter you have lying around. Create your own letter with the included alpha-type stickers and overlay them with the crystal clear epoxies, or if you're really feeling creative, punch your own design using a 0.5 inch punch for endless possibilities....Each package contains 16 charms, 32 alpha stickers, and 16 epoxy stickers. The type charms measure approximately 0.68 inches tall. The 12mm Rhinestones sold separately fit perfectly inside these too!